NEXT GROUP starts Tuesday 25 June 2019. This group will help people find freedom from their habits and behaviours they have decided they no longer want. These might be habits that affect your life or addictions that you want release from. It is run as a confidential group with a maximum of 8 people over 8 weeks. One on one coaching is also provided. The evening starts with a light meal at 6.30 and is over by 8.30. We may also help people with transport and babysitting. These two are passionate about the people of Whangarei. They are married with 3 adult children and 4 grandies. Adrienne is a registered nurse of 20 years and is working at Whangarei Hospital in diabetes care. Rob, now retired, has worked for 25 years in supporting people with mental health issues. 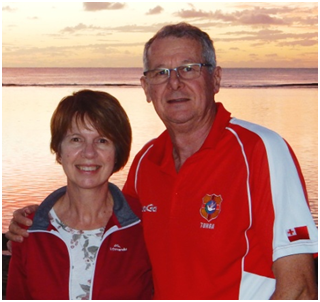 They enjoy being a part of the Whangarei Central Baptist Church, travelling, fishing, and spending time with their whanau. They are looking forward to helping people find freedom from the habits and behaviours they have decided they no longer want.